Kare Adenegan is this wonderful quiet, unassuming and painfully modest person who we have sponsored now for the past 12 months. 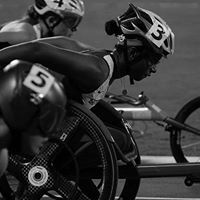 As a T34 wheelchair racer, Kare has already made a great name for herself alongside the likes of Hannah Cockcroft and has some outstanding results at a very young age. It really s a great pleasure for us to be able to support such an talented athlete who has such a bright future ahead of her and who is such a lovely person too! Anyone who followed the track events at Rio in 2016 would have seen Kare come home with silver in the 100m and bronze in both 400m and 800m. 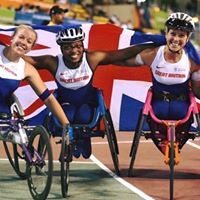 I started athletics after being inspired by the London 2012 Paralympic Games. I didn’t realise how many sports were available to people with disabilities and previously felt that sport wasn’t for people like me! After watching the para-athletics, I wanted to have a go at wheelchair racing. My parents did some research and we discovered a group 10 minutes away from my home at Coventry Godiva Athletics Club. I met my coach, tried out a racing chair and the rest is history! Typically, I train 6 days a week. Monday- Roller session, Tuesday- Gym session, Wednesday- Group track session, Thursday- Swim session, Friday- Track session, Saturday- Road session or rest day and I end the week with another group track session on Sunday! The biggest accomplishment of my athletics career, so far, has to be getting three medals at the Rio 2016 Paralympic Games. It was a dream come true and an experience that I will always cherish. Elite Therapy’s support was vital on my road to Rio and continues to be vital on my road to Tokyo. My sport can be very demanding on the shoulders and weekly sports massages have helped to prevent injury and maximise performance. 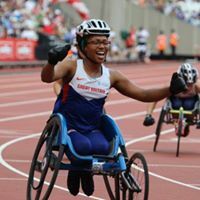 I have been selected to represent Great Britain in the 100, 400 and 800 metres at the London 2017 World Para Athletics Championships (14th – 23 July). I would like to take this opportunity to thank Elite Therapy for all their help and support. I hope to do you all proud in the coming months.